We so often hear that hard work is the path to achieving the American Dream, but retaining as much of our earnings as possible for our family can be a challenge. An experienced estate-planning attorney can work with you to assure that your hard work results in the accumulation of assets that are protected from liabilities. Asset-protection planning can insure that tax liabilities are minimized for your family after you have gone. Contact an estate-planning attorney today to get started. 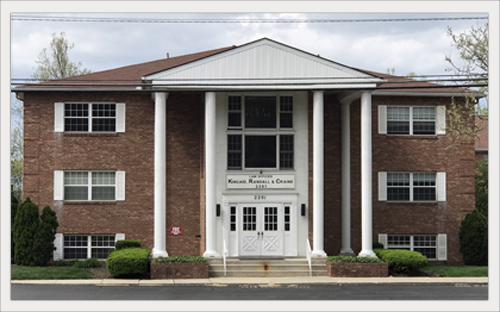 Kincaid, Randall & Craine is a Columbus, Ohio law firm that assists clients with estate planning and probate administration. We have over 60 years of combined experience in providing cost-effective solutions which meet our clients’ needs. To arrange for your free initial consultation, contact our office to speak to one of our attorneys. We can be reached by phone at 614.224.7193. Thank you for contacting Kincaid Randall & Craine. Your message has been sent. An estate planning lawyer from Kincaid Randall & Craine in Columbus, OH, can be an essential ally in assuring that your estate planning goals are understood and carried out. If you have estate planning-related legal questions, call Kincaid Randall & Craine today to schedule a consultation. Estate plans should typically include at least two important estate planning instruments: a durable power of attorney and a will. A durable power of attorney is a document that authorizes a person to make decisions for a person who has become incapacitated, including decisions about the incapacitated person’s property. A will is a document that sets out the plan to distribute a person’s property after her or his death. Documents relating to medical care can also be part of an estate plan. Documents to consider include a medical directive (also called an advance directive, a physician’s directive, a written directive or a durable power of attorney for healthcare) to designate a person to make healthcare decisions for a person who has become incapacitated; a healthcare proxy (also called a proxy directive) to designate a person to make healthcare decisions regardless of a person’s incapacity; and a living will to express a person’s desire regarding the use of extraordinary measures to extend her or his life when there is no reasonable expectation of recovery. Asset protection strategies, healthcare directives, powers of attorney and other estate planning devices are an integral part of the services that an estate planning attorney can provide. If you have questions about estate planning, contact an estate planning attorney at Kincaid Randall & Craine in Columbus, OH, to schedule a consultation.